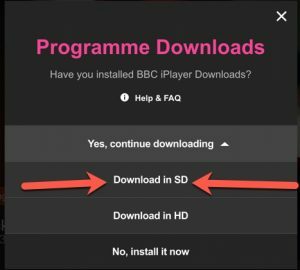 These steps explain how to download BBC iPlayer programmes to your macOS computer. 1. 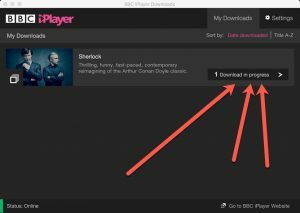 Connect to your VPN following these instructions. 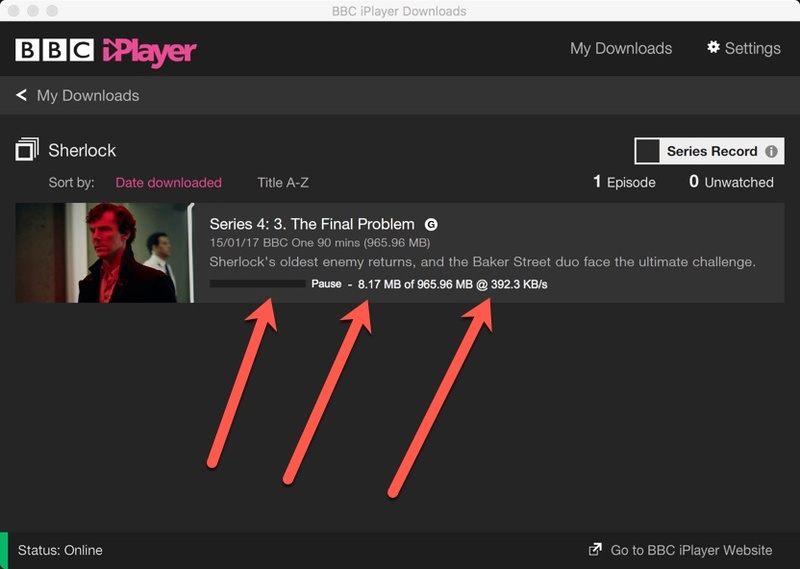 Ensure GeoShift and all proxy apps are disabled otherwise speeds will be very slow with both VPN and proxy turned on. Confirm you are connected to the VPN by visiting https://getfoxyproxy.org/geoip. You should see UK on the map. 2. 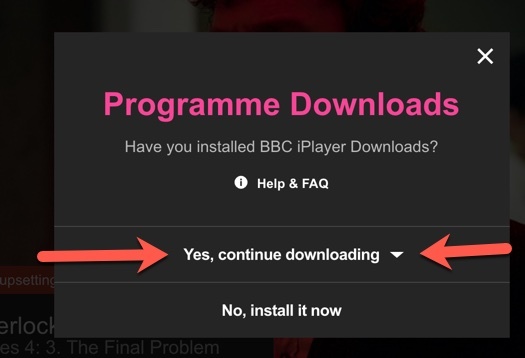 Download and install the BBC iPlayer Downloads app. 3. 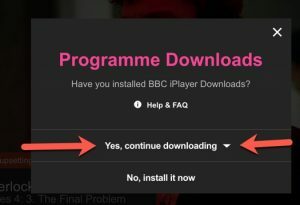 Visit the page of the programme you want. 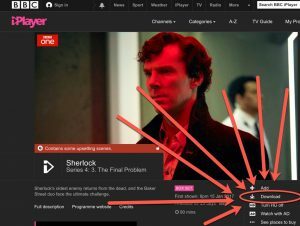 For example, Sherlock Series 4 Number 3. 6. Click “Download in SD”. We didn’t test HD. 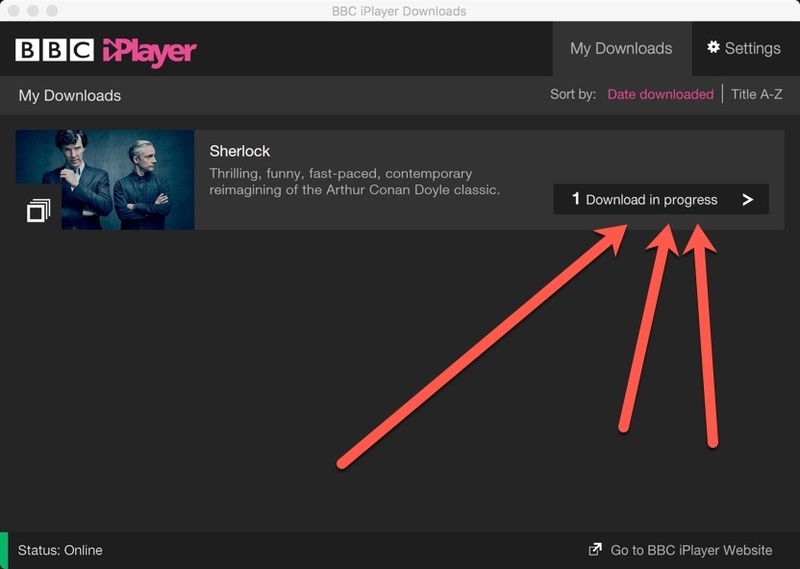 It may work, it may not, but if it does, downloading will take longer since HD files are larger than SD.